Austrian trumpet player Franz Hautzinger, a major contributor to the Viennese avant-garde, conceived the idea for Regenorchester on a rainy day in London. 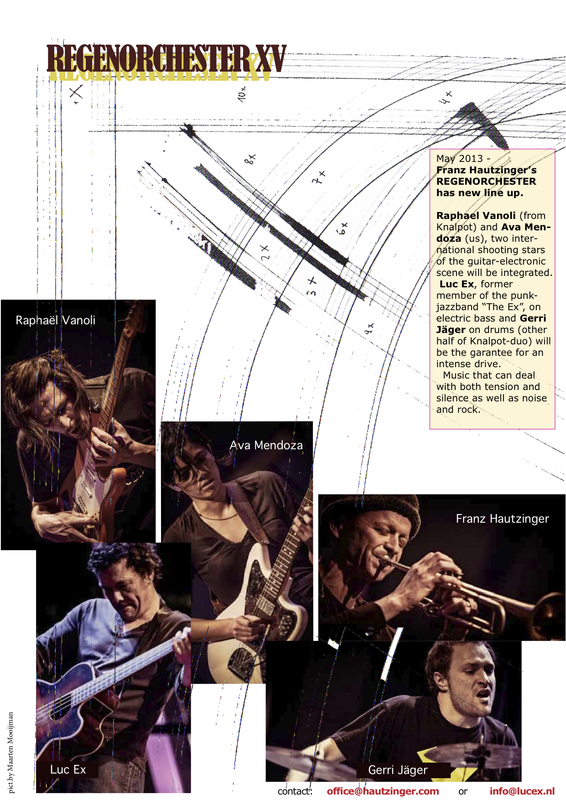 Previous versions of the group moved between soundscapes and passionate electrical jazz, with Hautzinger’s extremely concentrated improvisations as a point of reference. In this latest version he plays with American electric guitar talent Ava Mendoza, Luc Ex and the Knaplot duo. 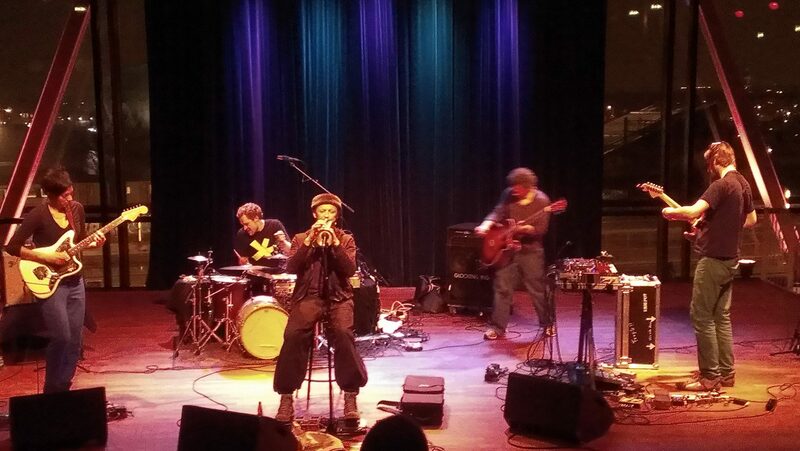 ‘Hautzinger intrigues with electronic transformations of volume, with echo and loops, in powerful and subtle techniques on his quarter tone trumpet’ (Volkskrant).